Tweet - "The U.S. has the worst rates of maternal death than any other developed country. For Black women, it's even worse. That's why I'm proud to be a member of the new Black Maternal Health Caucus so we can work to find solutions to this important issue. #BMHW19"
Tweet - "Today I had the privilege of receiving the 2019 AOA Health Care Leadership Award. Access to health care -- including eye care -- is the civil right battle of this century. I will continue to champion quality affordable care for all Americans." Tweet - "This admins claims it will protect pre-existing conditions and provide affordable health care, yet they continue to support dismantling the ACA and have no plan to replace it. Americans deserve access to quality affordable care, regardless of pre-existing conditions." Tweet - "As we commemorate #WorldAutismAwarenessDay, we should remember that autism is one of many pre-existing conditions this administration is trying to discriminate against by repealing the ACA. We must continue to fight for accessible affordable health care for ALL." Tweet - "Having good health care lays the foundation for a healthy and productive life. Children are not going to do well in school if they don't have access to quality health care. Employees are not going to be good productive workers if they don't have access to quality health care." Tweet - "This legislation builds on the steps taken by the ACA to further expand community health centers by ensuring the millions of Americans who get primary care from community health centers continue to receive care." Tweet - "Community health centers save the health care system over $24 billion annually & provide high quality, affordable care to millions of Americans. The Community Health Center & Primary Care Workforce Expansion Act of 2019 ensures that we reinvest & expand these vital facilities." Tweet - "The Community Health Center & Primary Care Workforce Expansion Act of 2019 expands access to health care for millions of Americans who live with barriers to quality health care access such as income, geography, and insurance status." Tweet - " Watch live as I'm joined by @SenSanders to introduce the Community Health Center and Primary Care Workforce Expansion Act of 2019. This bill will increase funding for community health centers which provide primary health care for millions of Americans." Tweet - "#TitleX provides affordable health care services for millions of women. This new gag rule is a blatant attack on women's rights and will prevent women from accessing a full range of health care options." Tweet - "Americans should not have to choose between paying their bills or paying for their medications. We must reign in the astronomical prices of prescription drugs. Americans deserve a patient-first plan. #EndRXMonopolyPrices"
Tweet - "If the president truly cared about the American people, he wouldn't keep trying to take away their access to affordable health care." Tweet - "The president and our Republican colleagues continually attacked Americans' health care last year by: - Promoting junk insurance plans - Removing pre-existing conditions protections - And raising the costs of health premiums"
Tweet - "My own mother was diagnosed with multiple myeloma and was given only 8 months to live. No one battling cancer or any other type of illness ought to use their life savings just to stay alive. We must continue to fight for affordable health care for all. #WorldCancerDay"
Tweet - "When my mother got sick, her insurance company ought to have covered her expenses, instead we had to use her life savings to pay her bills. The Affordable Care Act is the Civil Rights Act of the 21st century because it outlaws discrimination against sick people. #ProtectOurCare"
Tweet - "The Trump Admin has declined to defend the Affordable Care Act in court, and the case will likely end up in the Supreme Court. Make no mistake: health care for millions of Americans could depend on Kavanaugh's confirmation. #WhatsAtStake #StopKavanaugh"
Tweet - "Two days ago we marked the 50th anniversary of King's death. Let us remember his words "of all the forms of inequality, injustice in health is the most shocking and inhumane." We must answer his final question, do we choose #ChaosOrCommunity? 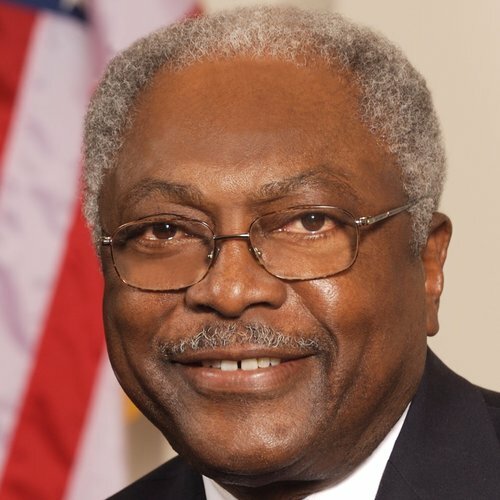 #ClyburnLecture (1/3)"
Tweet - "The Affordable Care Act was signed into law eight years ago today! I have often said the #ACA is the Civil Rights Act of the 21st Century because it outlaws discrimination in our health system and improves patient protections for all. #ACAworks"
Tweet - "The Family & Medical Leave Act was signed OTD 25 yrs ago; has provided >100M Americans opportunity to take time off to care for a new child or sick relative. Still, just 15% of private-sector & state/local government workers have access to paid family/medical leave." Tweet - "I voted NO on the Republican's 4-wk government funding bill bc it's irresponsible to go home w/o reauthorizing the Children's Health Insurance Program & Community Health Centers. CHIP serves 9 million children & CHCs provide critical health services to 27 million people (1/2)"